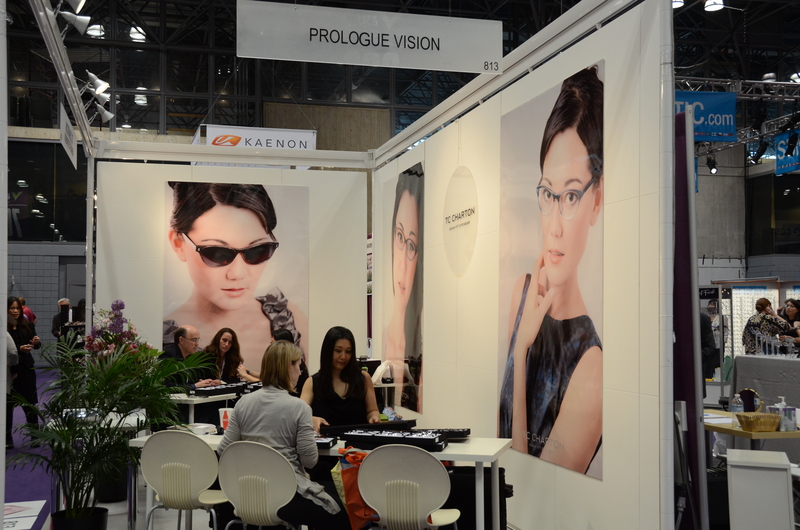 A great start to Vision Expo East. 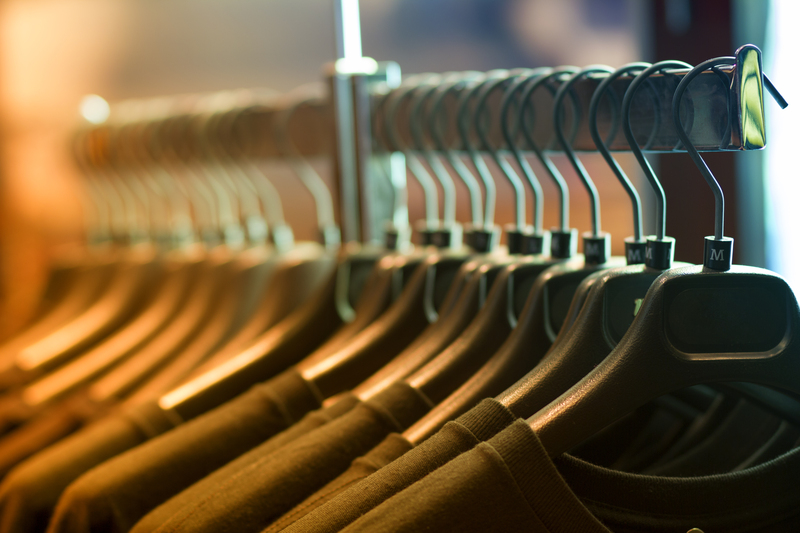 We had a number of people and buyers seek us out meaning they’d heard or read about us beforehand and wanted to see in person what our brand was about. Vision Expo East may seem daunting, I mean, going up side by side with the eyewear lines that have been around for decades and there’s little ol’ us. But we are the only ones who gear the entire line toward Asians and that makes us a standout. As I explained to several inquiries, I stopped buying eyewear after my last pair of $450 sunglasses refused to stay on my face once I broke a sweat. I had given up. Until I came across TC Charton. I think some people are realizing that for some, fit is the ultimate luxury, not a label. Another interesting thing to note, we are getting interest from buyers looking for glasses for different ethnicities. Turns out Asians aren’t the only ones with fit problems due to lower nose bridges and higher cheekbones. Also, lots of Canadians! Angel met about 10 Canadians interested in carrying our eyewear in an hour! 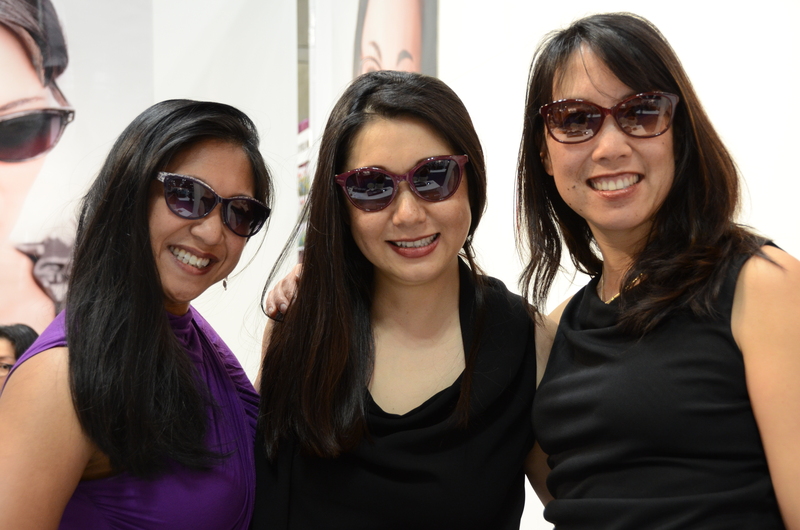 We saw some familiar faces including the lovely ladies from 20/20 Optometry of Silicon Valley. They tried on the Spring 2012 lines which they loved! Since we don’t have product shots of the new line, it’s that new! I decided to take our lovely model, Shi, outside to take a few shots. I am sad to say that right outside the Javits is not the most ideal unless you are looking for a Mad Max, industrial feel complete with graffiti and public urination. Shi was very sweet and game to try it out and did not notice the man with his fly unzipped. Ah youthful innocence. Anyways, I think we got some good shots. Also, Alexandra was interviewed by Image for the College Life Magazine, one of the best college mags out there. TC Charton is getting some buzz! TC Charton designer Alexandra Peng introduces her collection to fashionistas at Style360. The line impresses everyone, Asians and non-Asians alike.